Uncategorized Category Archives — Page 2 of 3 — New Hampshire Legal Blog Published by New Hampshire Criminal Attorneys — Tenn And Tenn, P. A. Being involved in a car accident is stressful enough; the confusion, panic and anxiety it comes with are some of the things you will have to deal with. But in the midst of all that you need to preserve all the evidence in a manner that will be presentable in the event your injury claim goes to court. Properly documenting what transpired, especially if you were not at fault for the collision, helps prove liability and demonstrate that you were the victim and not the wrongdoer. This approach applies weather your case settles out of court or ends up in the hands of a jury to decide. Once again, properly documenting what transpired is the first critical step to help you recover fair compensation in line with injury laws. Do your best to provide as much evidence as possible. The state of New Hampshire is home to good schools and family-friendly communities. Its rustic and laid-back atmosphere makes it an ideal place for bringing up children or for retiring peacefully. With low crime rates, the state is deemed one of the best places to live in America. Being New Hampshire’s seat of government, the city of Concord is a bustling little community engaged in various industries, the most noted of which are insurance, granite processing, and printing. Concord is a great place to live. Unfortunately, no city is immune to its share of motor vehicle and pedestrian accidents and injuries. 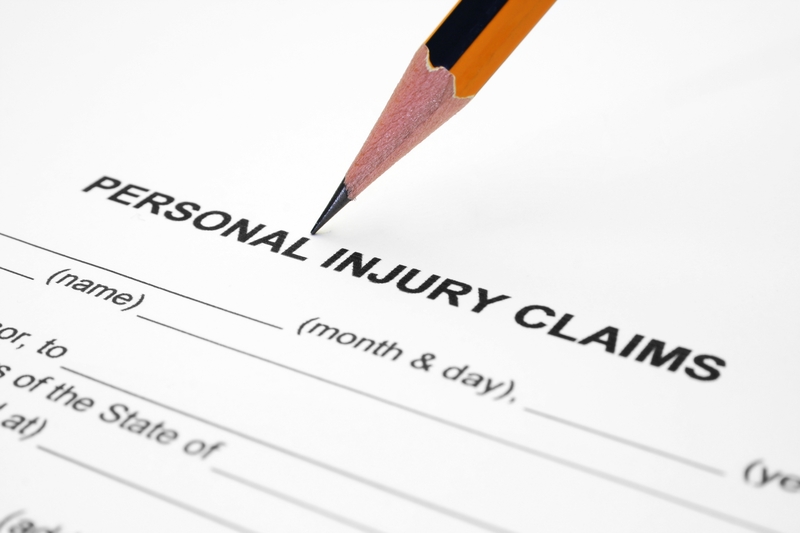 Personal injuries often results from negligence, recklessness, substance abuse, and malpractice. It can happen anywhere – on the job, in a boutique, at a hospital, or on the street. 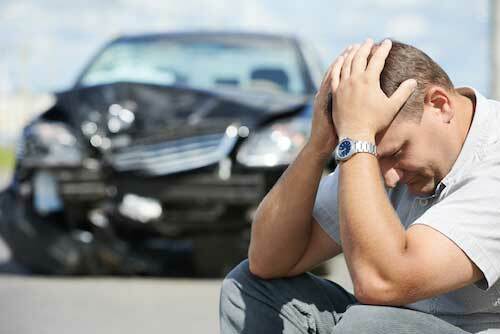 Personal injury is not just physical but also psychological and emotional. It can be due to a faulty product, a medical misdiagnosis, a wet floor, an un-repaired pothole, or an absent minded driver. While the injury may come in different forms, the nature of the cause is always the same — either by negligence or irresponsible action by the at-fault party. Unfortunately, the responsible party can be your own boss, doctor, teacher, landlord, an establishment or even the local government. And that personal injury may possibly have been avoided if the offender had taken necessary precautions to do so. 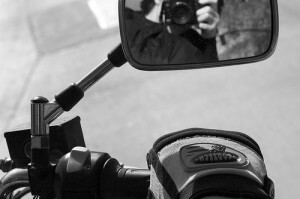 Motorcycle crashes can result in severe injuries. Riders can suffer injuries ranging from traumatic brain injury (TBI) to the loss of a limb or even broken bones. A motorcycle collision can also result in road rash, which results in skin and bone abrasions caused when a rider hits or scrapes exposed skin against the road after falling or being thrown from a motorcycle. Road rash may not be as severe as a brain injury or limb loss, but it can be extremely painful and result in sever and permanent scarring. Even at a low rate of speed, a motorcycle crash can lead to road rash injuries that can require lengthy rehabilitation. 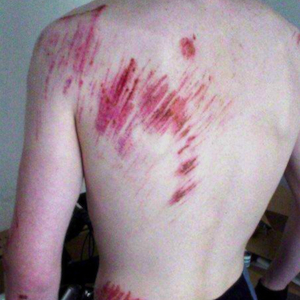 Road rash can range from minor scrapes that look like a bad sunburn and the skin is not broken, to broken skin that’s bleeding, to all layers of skin being damaged and being able to see fat and tissue. The last requires immediate medical care, but the other types of road rash can be treated with over-the-counter ointments and bandages. After the crash, medical personnel encourage minor bleeding from the abrasion, as it will help flush out some of the debris that may be embedded deeper in the cuts. They then suggest washing the area with warm water. Rinsing the wound might hurt, but it is essential to getting the area as clean as possible. Three partners at Tenn And Tenn law firm have been selected as Super Lawyers, placing them among the best in their field for their key areas of practice. Lawyers at Tenn And Tenn, P.A. have earned high honors. All three of the firm’s attorneys, Jim, John and Mary Tenn, have been voted by their peers as Super Lawyers for 2012. Tenn And Tenn, P.A. provides services to clients across diverse areas of law including personal injury law, family law, criminal defense and Driving While Intoxicated. On Tuesday October 16, 2012 a Manchester police officer was arrested for DWI following a serious motor vehicle accident. The crash occurred around 7 p.m. near exit 6 in Manchester, N.H. The investigation reveals that two cars were involved in the crash. Witnesses to the crash say the off-duty police officer was traveling over 100 miles per hour. The force of the collision was significant causing the second vehicle, driven by Heather Oregan of Hudson, to veer off the road before crashing into a bridge abutment. Both drivers were transported to Elliott Hospital and were treated and released with non-life threatening injuries. The crash scene was immediately blocked off and the State Police Technical Accident Reconstruction (TAR) Team was called to the scene to reconstruct the accident. 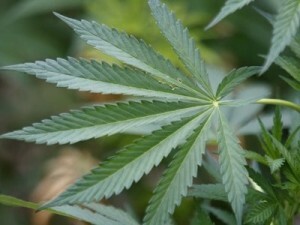 At this time, the cause of the collision remains under investigation while a review of the evidence is being conducted.